Green Enough for the New York Green Bank? The $1 billion New York Green Bank offers tremendous opportunity for microgrids and other distributed energy resources. But what kind of projects, exactly, should the bank finance? This question is now under debate before the New York Public Service Commission, where environmental, business and municipal interests are pushing often conflicting visions for the state-sponsored program. Some industry players say microgrids and combined heat and power aren’t getting proper attention in New York as the state moves forward with its key policy strategy, Reforming the Energy Vision or REV, a market exchange to increase distributed energy on the grid. Others fear the state is becoming negligent on the other end of the spectrum; that it is sacrificing large-scale renewables for local energy. The green bank is becoming a flash point because it will control a great deal of the state’s green energy money — and therefore influence what’s built. Hence, interest groups are jockeying to ensure their resources receive favorable positioning. The New York State Energy and Research Development Authority (NYSERDA), which oversees the green bank, has petitioned the commission to fully fund the $1 billion bank. NYSERDA also asked for permission to expand the kind of resources eligible for the financing. The commission is still mulling the request. NYSERDA wants to include resources that will help the state transform to a distributed grid, as contemplated in REV. NYSERDA wants to expand eligibility to low-carbon technologies that could emerge as the state institutes REV. Given that REV is about creating a distributed grid, it is likely to foster customer-side, onsite energy — small not large-scale projects. Yet, despite REV’s emphasis on distributed energy, the state gave inadequate attention to both microgrids and combined heat and power (CHP) in its environmental impact statement review of the program, according to the Northeast Clean Heat and Power Initiative, in a filing to the state Public Service Commission. 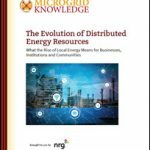 Microgrids can be an effective way to reduce greenhouse gases, as can be related hybrid tech, such as solar photovoltaics (PV) and trigeneration, PV‐cogeneration, CHP‐energy storage, and PV‐storage systems, especially when compared to the same technologies on a stand‐alone basis, NECHPI said. As for CHP, the environmental review focuses almost solely on its ability to reduce peak demand. It fails to consider what CHP offers in terms of grid resiliency, efficiency, carbon dioxide reduction and line loss reductions. Nor does it take into account the fact that CHP can help the state avert the need for new central power plants. “We believe this approach presents an unbalanced treatment of CHP, not only on a stand‐alone basis, but also relative to other distributed energy resources,” the organization said. For example, as baseload power, CHP is one of the few distributed energy resources that can maintain a continuous balance of supply and demand on a local level. NECHPI urged the state to use modeling tools to determine the proper mix of resources to achieve state goals and minimize costs. Meanwhile, the Sierra Club is worried that that the state will abandon large-scale clean energy projects, as it moves away from its conventional renewable and energy efficiency portfolio standards — to the state’s new market-based Clean Energy Fund. To date, the largest renewable project funded by the green bank is a 4-MW solar plant. The Sierra Club urged the PSC to set goals for large-scale renewables and only partially fund the green bank until then. goals. The environmental group also recommended against allowing the green bank to expand the list of resources eligible for financing. The Sierra Club is concerned that greater eligibility will lead to greater development of fossil fuel distributed energy. On the other hand, Environmental Entrepreneurs (E2), a pro-environment business group, said that that it “wholeheartedly” endorses opening the financing to more technologies. “As the state moves away from technology specific, ratepayer supported programs toward market solutions, NY Green Bank needs the flexibility to fund projects that align with the objectives of the reform and to adapt as new approaches become appropriate,” E2 said. The City of New York also championed the idea of expanding eligibility for green bank financing. Defining clean energy more broadly will result in a greater suite of choices appropriate for “dense urban settings,” said the city. At the same time, the city warned that the state should not abandon support for its more conventional renewables and energy efficiency programs. None of this debate is surprising and we’re likely to see more off it as a distributed grid emerges in New York and other states. Resources are limited; as one form of energy rises another is likely to take a back seat. The jockeying for position is likely to become more intense. The green bank uses public funds to leverage private investment. Its first round of investment, announced in October, resulted in $800 million in clean energy projects, expected to save 575,000 metric tons of greenhouse gases. NYSERDA has petitioned the PSC for approval of $781.5 million, to fully capitalize the New York Green Bank. The authority asked the PSC to allot the funds in four equal, annual installments of $195.375 million in June of 2015, 2016, 2017 and 2018. 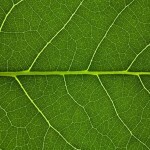 Join the discussion about New York’s Green Bank on our LinkedIn Group, Microgrid Knowledge.